“So that it smells like a candy store,” explains head bartender Joe Schofield as he spritzes our cocktail menu with a fragrance that indeed reminds us of an English confectionery. 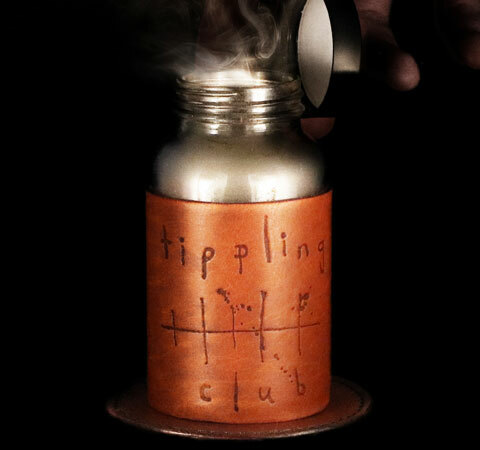 And if you think that’s all to Tippling Club’s lauded gastronomic experience, then you’re sorely mistaken. We’re talking about an establishment known to push culinary boundaries with its bag of tricks and scientific techniques. Its previous Sensorium Menu is a case in point, where imbibers were asked to select their cocktails through the sense of smell. 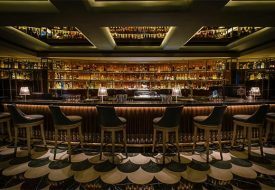 This time around, Tippling Club coaxes you to pick a poison after you have tasted 12 gummy bears infused with the corresponding cocktail flavours. The bears are presented in a retro goodie bag, accompanied by the candy store-scented guide that details each drink. Now, the cocktail menu is complete. 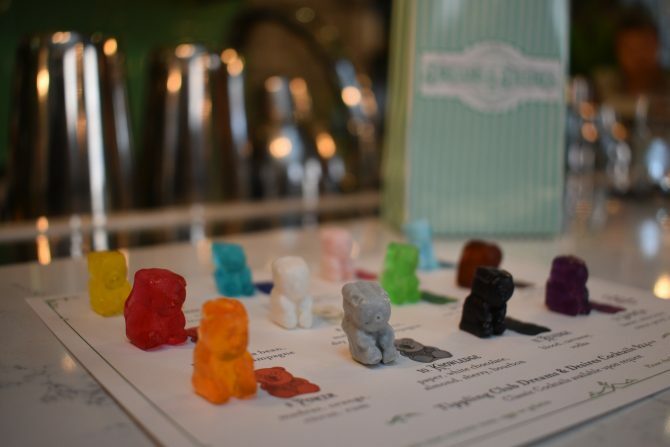 A total of 20,000 gummy bears were harmed in the 10 month-long making of the Dream and Desires menu, featuring 12 cocktails (and gummy bears) that are fashioned from everyday ambitions. Each one tributing a worldly desire such as happiness, lust, power and revenge. The future of flavours, as Joe would like to succinctly describe the revolutionary menu. 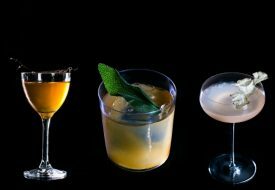 Instead of waiting wistfully for our future ambitions to come to fruition, the cocktails let you time travel and experience some of your dreams and desires through the taste buds. For instance, if you have been down on your luck lately, look to Happiness to put the spring back into your step. 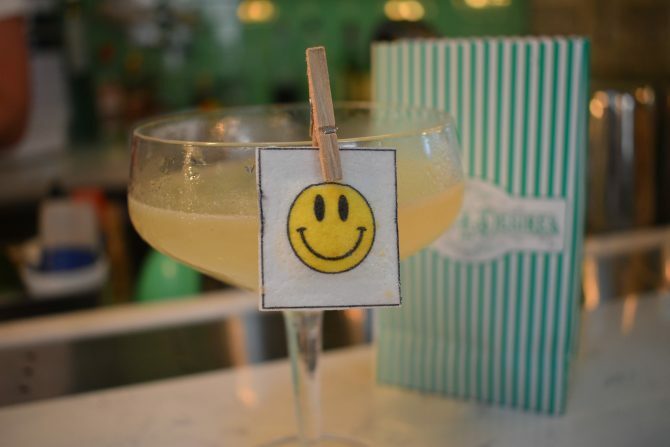 The cocktail is a pocketful of sunshine, featuring a tequila laced-blend of citrus flavours and then honey-ed for sweetness. Or find out what does the uncontrollable desire of Lust tastes like; apparently not as sensual as one would think. 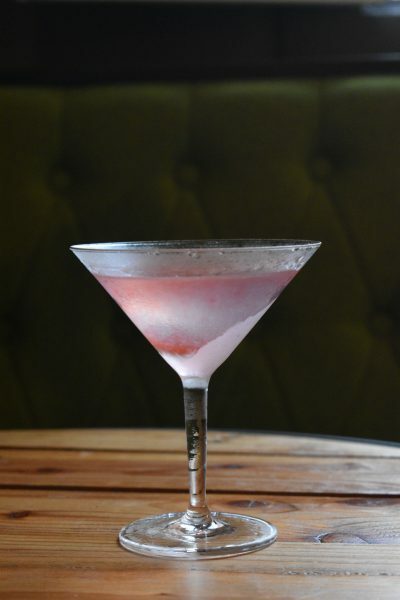 Inspired by the Chanel Coco De Parfum, the drink is a delicate swirl of peach, tonka bean, vanilla, and champagne. And what’s to come after acting on Lust? 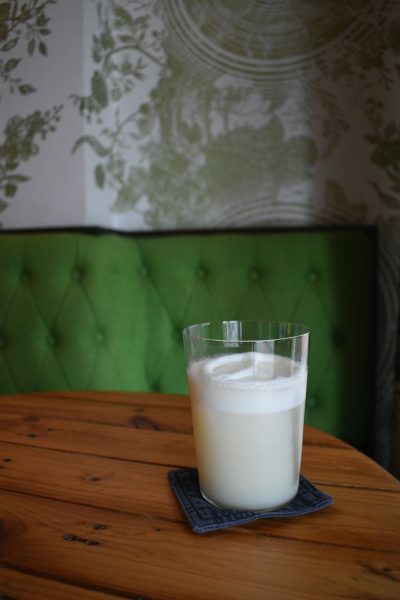 Well, you might just parent a Baby – a potent concoction of milk, vanilla, apricot honey and gin served in a milk bottle. The social aspect of the Dreams and Desires menu is that it sets to ignite a lively debate among you and your party on whether the flavour profile fits each ambition-themed cocktail. Like for us, the cocktails Knowledge and Power didn’t pack that ommph associated with their strengths, though some would have disagreed. However, everyone felt that Revenge’s embodiment has hit the nail on the head – at first fooling us with its whimsical facade, before unexpectedly turning on you with a punch of vodka teased with umami bitters. For those with the ultimate goal in life is to get a sweet ride, you can taste the accomplishment via Supercar. Also the most challenging to concoct, the cocktail features infusions of leather, metal and smoke (no, really), plus truffle oil before spiked with gin. A piece of edible road tops it off. Each cocktail is priced at $24.